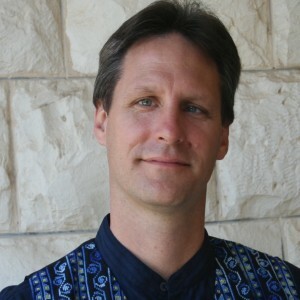 Artistic Director Paul Flight leads the award-winning California Bach Society in Italian music for Advent and Christmas: traditional holiday carols and glorious double choir motets by Giovanni Croce and Alessandro Scarlatti, plus Verdi’s chromatic Laudi alla Vergine Maria and Respighi’s beautiful pastoral Lauda per la Nativitá del Signore. The 25-voice chorus is joined by soloists soprano Caroline Jou Armitage, mezzo Mindy Ella Chu, and tenor Mark Bonney. We wish you Buon Natale! 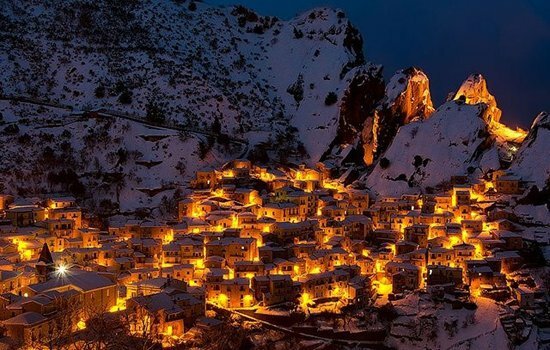 Christmas in Italy Across Italy, Natale tends to be a family-oriented holiday, a time to stay at home with loved ones. Christmas officially kicks off in Italy on December 8, the Day of the Immaculate Conception of Mary. This is when decorations go up, both on the streets and inside Italian homes, and when Christmas markets start. One of the most important ways of celebrating Christmas in Italy is the Nativity scene (presepio). Having cribs in the home became popular in the 16th century, and it’s still popular today. Cribs are traditionally put out on the 8th December. But the figure of the baby Jesus isn’t put into the crib until the evening of December 24. Decorated with lights, wreaths, and trees, these Nativity scenes are displayed in many churches and piazzas. Alessandro Scarlatti (1660–1725) Scarlatti was born in Palermo, then part of the Kingdom of Sicily. He is generally said to have been a pupil of Giacomo Carissimi in Rome. Scarlatti’s music forms an important link between the early Baroque Italian vocal styles of the 17th century, centered in Florence, Venice and Rome, and the classical school of the 18th century. Scarlatti’s style, however, is more than a transitional element in Western music; he shows an almost modern understanding of the psychology of modulation and frequently makes use of changing phrase lengths. The Magnificat Primo Tono is a setting of the famous utterance of Mary, “My soul magnifies the Lord,” for five voices and continuo. The text settings alternate between full and rich homophonic declarations, florid solos, and contrapuntal writing for smaller ensembles, creating a great variety in texture. Scarlatti weaves the original plainchant into the writing (at the words “deposuit potentes”) with long, sustained notes in the second soprano part. Giovanni Luigi da Palestrina (ca. 1525­–1594) Palestrina was born in the town of Palestrina, near Rome. Documents suggest that he first visited Rome in 1537, when he is listed as a chorister at the Santa Maria Maggiore basilica. He spent most of his career in Rome. 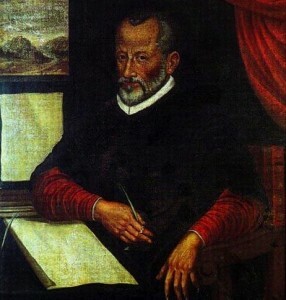 Palestrina had a lasting influence on the development of church music, and his work is considered as the culmination of Renaissance polyphony. 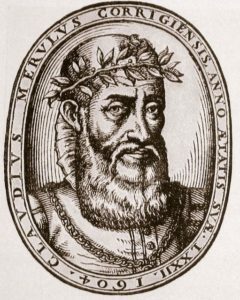 Claudio Merulo (1533–1604) Merulo was an Italian composer, publisher, and organist of the late Renaissance period, who is most famous for his innovative keyboard music and his ensemble music composed in the Venetian polychoral style. He was born in Correggio and died in Parma. Born Claudio Merlotti, he Latinized his surname when he became famous in Venice. Giuseppe Fortunino Francesco Verdi (1813­–1901) Verdi came to dominate the Italian opera scene after the era of Bellini, Donizetti, and Rossini, whose works significantly influenced him. By his thirties, he had become one of the pre-eminent opera composers in history. Giovanni Croce (1557–1609) Croce was an Italian composer of the Venetian School in the late Renaissance. He was particularly prominent as a madrigalist. Stylistically, Croce was more influenced by Andrea Gabrieli than his nephew Giovanni; Croce preferred the emotional coolness, the Palestrina clarity and the generally lighter character of Andrea’s music. Croce’s sacred music shows a development from the even-textured style of Palestrina to the more modern Venetian style of his day. Bepi (Guiseppe) De Marzi (b. 1935) Giuseppe De Marzi, known as Bepi, was born in Arzignano in the Valle del Chiampo in 1935, where he lived until 2015, when he moved to Vicenza. He was a music educator, and a teacher of organ and organ composition at the Canneti Municipal Institute of Vicenza; he also taught in the diocesan seminary of Vicenza. De Marzi has published much instructional music for nursery and primary school, as well as songs for baptisms, confirmations, and marriages. In Pastori, a gently rocking rhythm paints a picture of the humble birth of Jesus, describing the first lullaby (“ninna nanna”) sung to him by the shepherds. Traditional Christmas Carols Tu scendi dalle stelle (You come down from the stars) is perhaps the best-known Italian Christmas carol. It was originally written in 1732 in Naples by Saint Alphonsus Liguori in the musical style of a pastorale. Though found in numerous arrangements and commonly sung, it is traditionally associated with the zampogna, or large-format Italian bagpipe. Gesù bambin l’è nato in tanta povertà (The Infant Jesus is born in such poverty) is a traditional carol from the Canavese area, in the province of Turin. This song, with some textual and melodic variations, is popular throughout northern Italy. 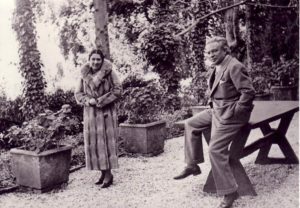 Ottorino Respighi (1879–1936) Respighi was born Bologna, Italy, into a musical family. His father, a local piano teacher, encouraged his son’s musical inclinations and taught him basic piano and violin at an early age. Respighi was an enthusiastic scholar of Italian music of the 16th, 17th and 18th centuries. His studies influenced his later compositions and led to a number of works based on early music, notably his three suites of Ancient Airs and Dances and the suite Gli uccelli (The Birds). Lauda per la Natività del Signore (Laud to the Nativity), written in 1930, is a cantata for three soloists (soprano, mezzo-soprano, tenor), mixed chorus, and chamber ensemble (woodwinds and piano four-hands). The text, written by 13th century Franciscan friar Jacopone da Todi, tells the story of the birth of Jesus from the shepherds’ perspective and utilizes the vocal soloists as the main characters: the Angel (soprano), Mary (mezzo-soprano), and the Shepherd (tenor). The pastoral mood of the piece is a perfect setting for the story, and demonstrates Respighi’s “new old music” composition style—using more modern harmonies and instrumentation in conjunction with old forms and melodies such as madrigals, plainchant, and fugues. Performances are Friday, November 30, 8:00 p.m., at St. Mark’s Lutheran Church in San Francisco; Saturday, December 1, 8:00 p.m., at All Saints’ Episcopal Church in Palo Alto; and Sunday, December 2, 4:00 p.m., at St. Mark’s Episcopal Church in Berkeley. Advance tickets are $30 general, $25 seniors; patrons under 30 always pay $10. Prices at the door are $35, $30, $10. SFEMS members receive a $5 discount on the advance purchase price when using promotion code “SFEMS” – until 5:00 p.m. on Thursday, November 29; this discount is not available at the door. Order by phone at (650) 485-1097 or online at www.calbach.org/tickets.